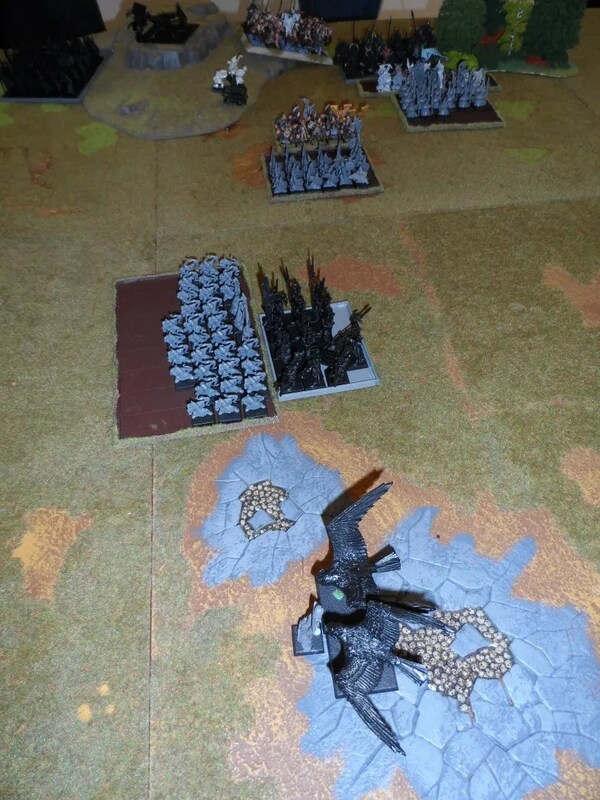 The Phoenix Guard crushed the Gors, taking their BSB with them and pursued across the battle field towards more foes. 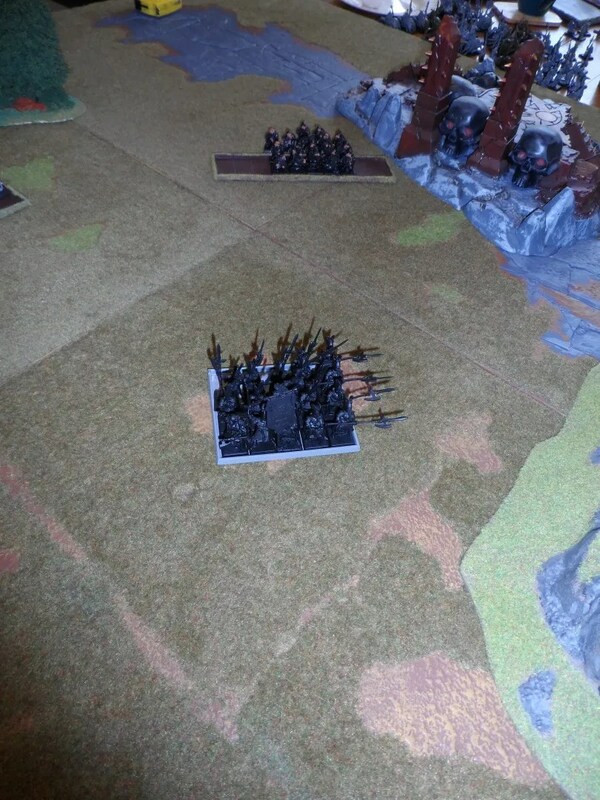 Meanwhile, another unit of Gor ambushers erupted behind our lines, trapping the Dwarf line front and rear. Luckily, Anthony’s army list for me had ganted me Stubborness so whilst locked in combat with numerically superior numbers Shambles held the line. Several challeneges were declared and accepted, but each took two turns to resolve ! 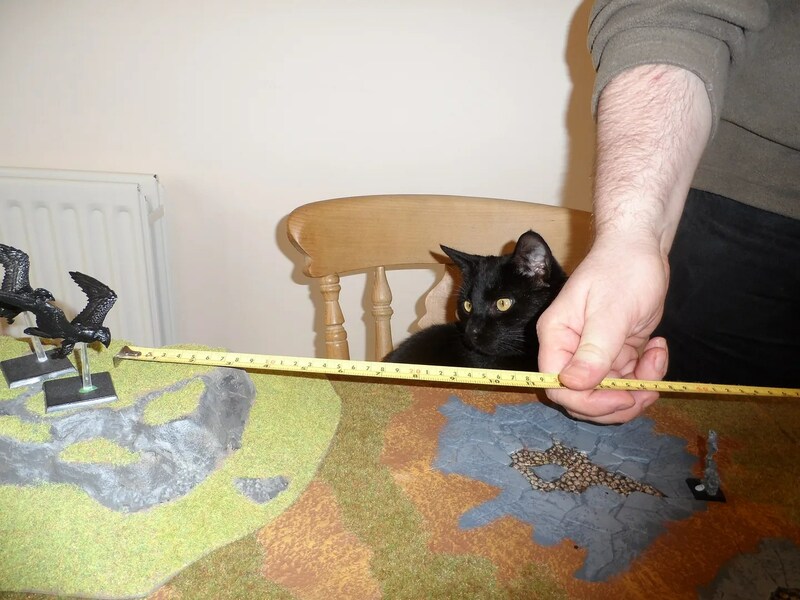 Eventually stouter Dwarf skill held out and the gobbos lost their BSB and hero. 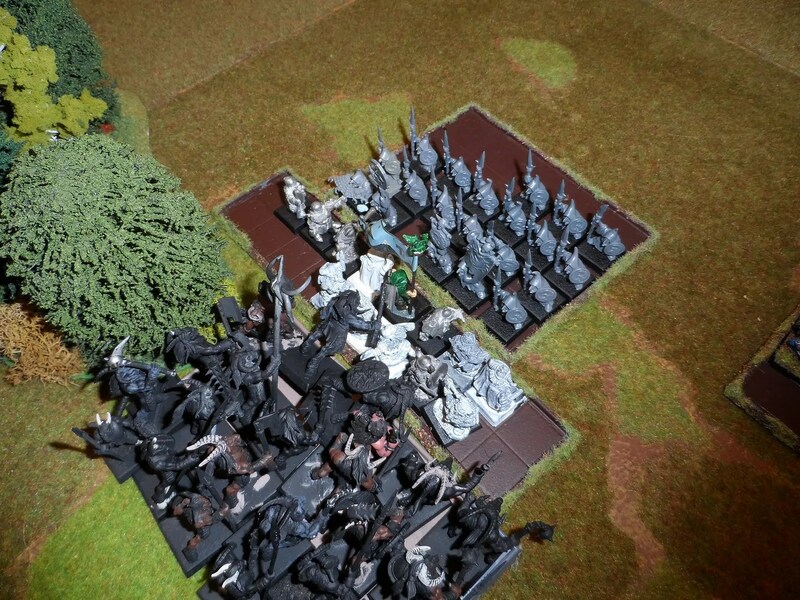 Shambles’ unit got charged in the rear by the Gors and took casualties. 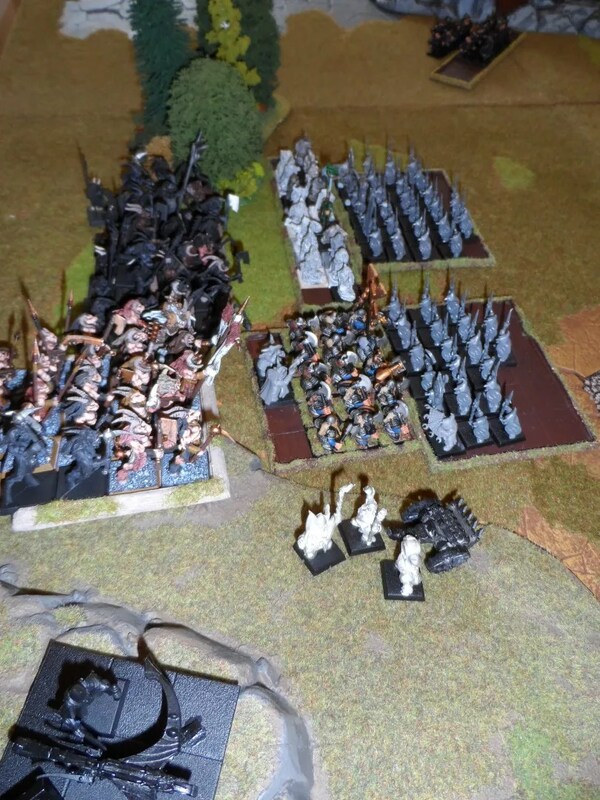 But the Longbeards defeated the other gobbos and chased them across the battlefield not quite catching them. 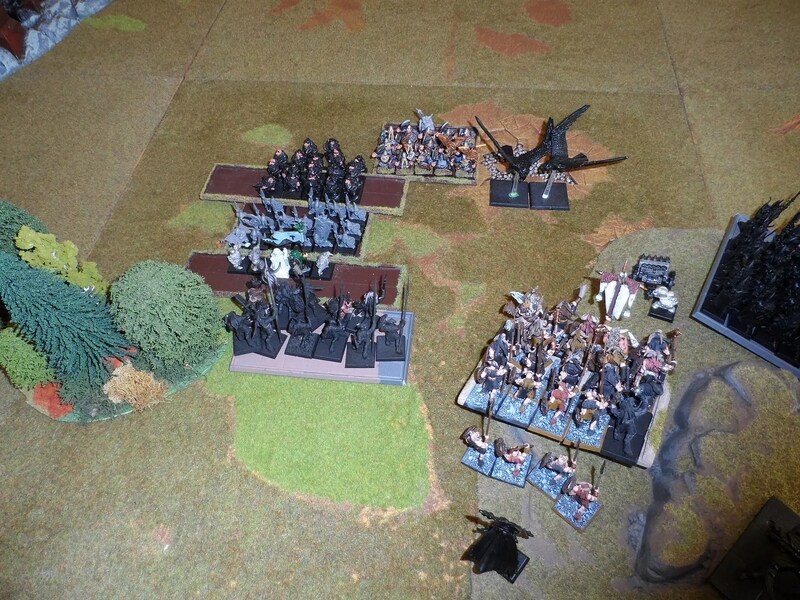 The Phoenix Guard caught the gobbo archers (about 30 of them) whislt the Eagles swooped on the hapless shaman. 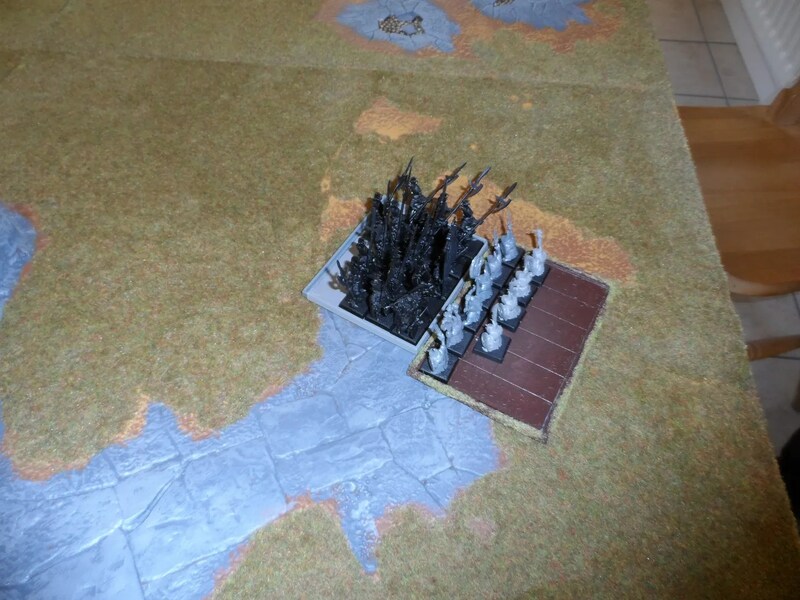 The goblin army fled across the centre of the board away from the rampaging High Elves and Dwarfs. Meanwhile, Shambles’ unit had held the line fighting off the gobbos and the Gors despite casualties (stubborn is a great rule ! 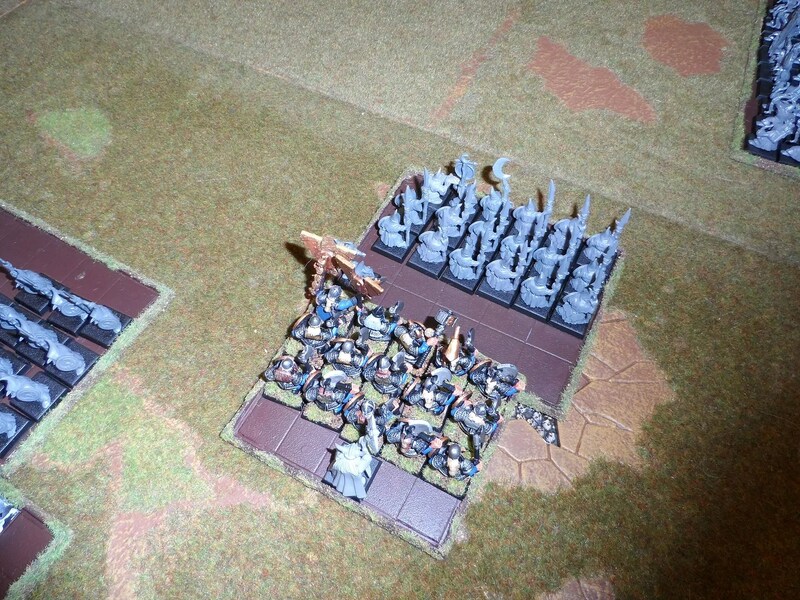 ), allowing Bugman’s Rangererers to charge the gobbos in the rear and the Long beards and Eagles to come to the rescue. 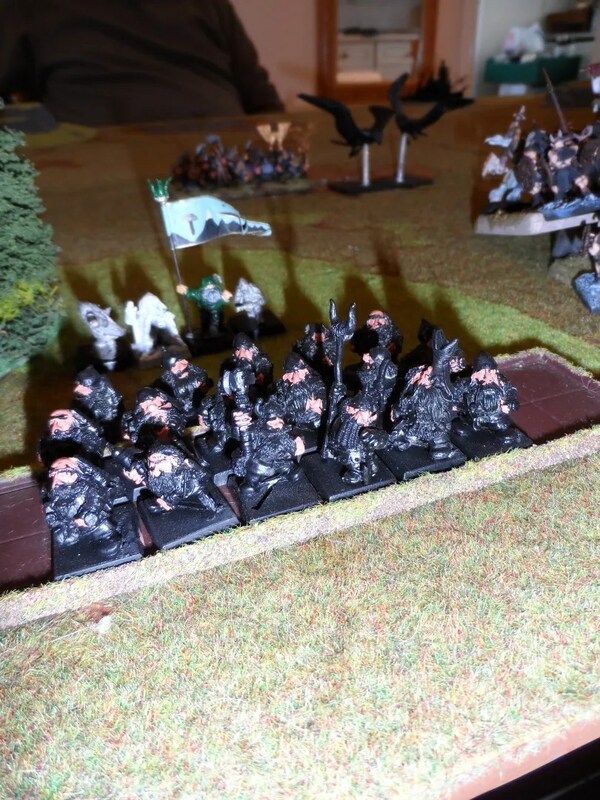 Against all odds, the Organ Gun crew withstood (by one beard) the attack of the second Gor unit of ambushers, and held them there ! 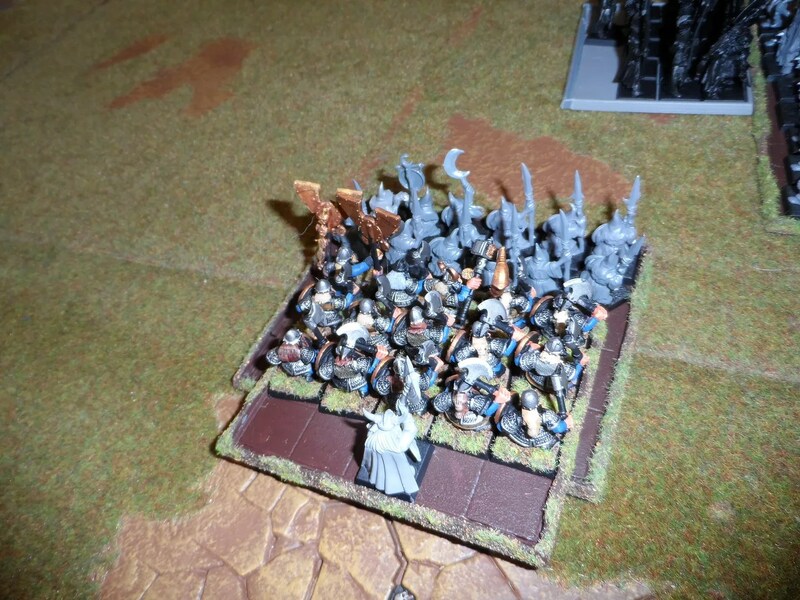 Phoenix Guard mopped up the last of the gobbos completing their slaughter. Whilst Bugman’s Rangererers slaughtered the gobbs, crashed through into the Gors and drove them off. 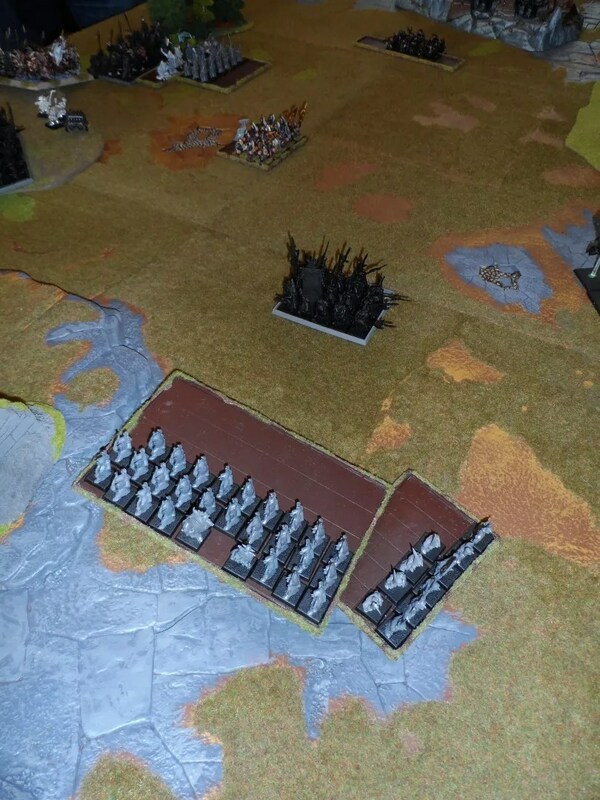 At this point, the game was won with only one unit of Gors left to take on the virtually untouched Lothern Sea GUard, Phoenix Guard, War Eagles, Long Beards and Bugman’s. Victory for the good side. Great report, what a shame I missed the game. And I’m glad to hear that Byakhee Dylan has the correct opinion regarding unpainted miniatures, good lad!